One custom-made 14 karat white gold cluster ring. 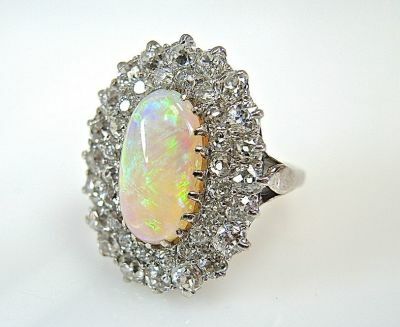 One oval cabochon opal (3.04 carats: yellow green to bluish purple play of colour). Forty old European cut diamonds (3.95 carats: SI clarity: H-I colour).